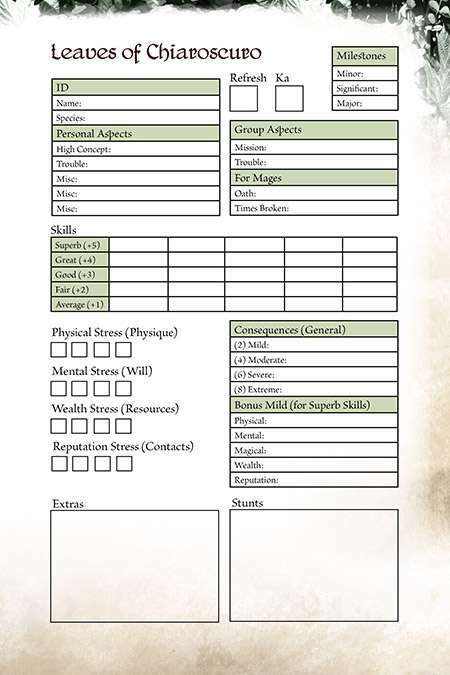 This includes three different versions of a character sheet for Leaves of Chiaroscuro for the Fate RPG which focuses on a wondrous and strange version of Italy during the Renaissance. This includes both fillable forms and simplified forms for print. The ruleset for Leaves of Chiaroscuro can be found here.